Two walkers were airlifted from a mountain after falling about 200m (650ft). Members of the Dundonnell Mountain Rescue Team went to the men’s aid after they fell on Sàil Mhòr in the north-west Highlands. Police were alerted at 2.45pm on Sunday. A spokesperson for Northern Constabulary said: “Two males had been walking at Sàil Mhòr and while crossing over a gully, a slab of snow gave way.” Both men were found quickly by rescuers. 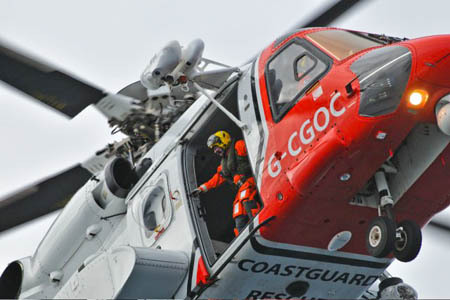 A Coastguard helicopter from Stornoway flew to the site and both men were airlifted to Raigmore Hospital, Inverness. Police said one of the walkers was uninjured and the other sustained non life-threatening injuries. The 767m (2,516ft) corbett overlooks Little Loch Broom and is the terminating top of the An Teallach group.